Much like the rest of the Department of Mysteries itself, even the designated 'break room' is an oddity. One may think they have entered a rock zen garden upon entering the Decompression Chamber, but as your feet walk upon the plush and bouncy floor these concerns begin to diminish. If the extra bounce to your step was not enough, then upon further inspection the discover that the 42 rocks are, in fact, pillows will certainly drill home the idea. There is not a hard surface in the room from floor to wall to ceiling, even the vending machine - FREE for all Ministry employees! 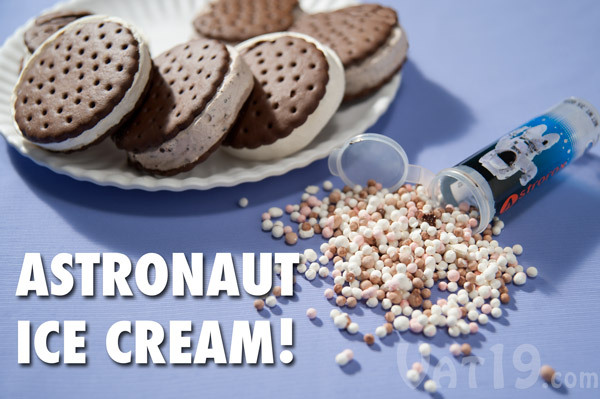 - by the door is plush and squishy with packaged contents reminiscent of vintage muggle astronaut food - although you will only find ice cream in a variety of wizarding and muggle flavors here along with various drinks (hot coffee included). One need simply to press their Ministry badge to the scanner and input the number combination for the desired item and it will levitate from its place right out through the enchanted rubbery glass to you. Just be sure to take all trash with you when you leave. OOC: this is a PUBLIC thread. All Ministry employees and visitors are welcome to RP here. All 42 of the plush rock pillows begin tumbling and rolling towards Western wall of the room. Some begin stacking up atop one another as they attempt in vain to push through the wall and merely squish themselves against its surface. Even the vending machine has been pulled on to its side and moves slowly towards this wall. ~meeting~ check the Announcement Tome! Airey had been pacing about the Decompression Chamber for some time now while nursing a case of strawberry space ice cream as he waited for his team of Unspeakables to make their way inside. All the enchantments were in place and he was quite keen to get started on this little training exercise of sorts. Which, well, one would likely argue that it was hardly that but it had always been the Flamsteed way to be more than a bit eccentric when it came to these sorts of affairs. Knocking back another mouthful of ice cream, the department head strolled by the vending machine again and debating getting himself a pouch of coffee next. Very impressive. Major was thinking to himself as he made his way to the break room. This room could equal parts be very fun to be in, AND very relaxing. Nice balance and Major could not wait now to begin this Department meeting and meet all his fellow employees. It was good that he left his Uncle in charge of the shop today, very good indeed. He could trust him with it. In fact his Uncle pushed him out of the door to begin his first day of work. Very odd. He stopped beside another gentlemen beside the vending machine and couldn't help but push his hand against it letting it sink in a bit before pulling back and watching the vending machine bounce back into place. Oh...this was? "Good Day." Major said with a slight bow to his Department Head. "Does this Machine have Green Tea Ice Cream as well?" he smiled and took a step back to give the man some more space as not to crowd him. Laurel entered the Decrompession chamber hoping for a quiet and normal department meeting. Knowing Airey though she assumed that he had some kind of excersize upp his robe sleeves so that probably weren't going to happen. The blond unspeakable, seer and prophecy maven moved over towards the vending machine with a smile on her face that she directed first to her department head and then to her new colleague Major. "Good day Mr Flamsteed, and Good day Major!" Last edited by Nordic Witch; 02-23-2019 at 02:07 PM. If she’d thought last year at the Ministry was awkward, somehow Dylan felt she’d been proven wrong. Knowing that neither her father nor her new father-in-law were particularly at peace with her and Aramis’ decision to get married last fall was still foremost in her mind as she’d made her way through the department toward the Decompression Chamber at the appointed time for the meeting called by Flamsteed. The saving grace to the whole matter was that the Encephalon incident was in the past now, so at least her inner turmoil wasn’t added to by her guilt over having been present for that and yet somehow saved from the possession. At least one thing was going, if not right, in that direction. It seemed everyone was congregating at the vending machine, so the blonde young woman headed that way as well. “Good day Mr. Flamsteed, Laurel… Major,” she said as she came up alongside the three. Immensely grateful for the fact Laurel had mentioned the other man’s name and therefore prevented the awkwardness of her having needed to ask. Perhaps it wasn't so obvious from the look on his face, but Jasper rather enjoyed the decompression chamber. Who couldn't enjoy the odd bouncy floor every now and then, when winding down from a serious day of work? Well, probably a fair few people, but that was neither here nor there. "Hello, everyone," Jasper greeted those in the room, his heavy French accent as present as it ever was, as he entered. He regarded the vending machine for a moment, before deciding against getting anything from it. Maybe after the meeting he would grab something... if he was really, really desperate. Addison would be lying if she had said she wasn't happy about the department meeting being held in the Decompression Chamber. There was nothing she didn't like about the room. From the floor to the overly large rock pillow type chairs. The entire room just screamed, RELAXING! It was with a warm friendly smile on her face that the blonde stepped into the room. "Hello, Mr. Flemsteed," she greeted first noting that he was enjoying some ice cream. Thanks a lot there Airy, now she wanted some ice cream. Might just have to get herself some in a few moments. "Hello, everyone." Couldn't forget to greet the rest of the department. Wand out, Airey was presently levitating a few of the plush rock pillows about the room while trying to sort through the various flight patterns to decide which to assign to each of them when he heard the first Unspeakable enter the chamber. "Ah, it may," he mused while rubbing his hairless jawline. He almost missed having a bit of cheetah in him for the sole fact that he had been able to grow facial hair. "If not now then the next time it requires restocking I can place an order for it." Forget-me-not blue eyes shifting to Laurel as she entered, the department head found himself relieved that last year had not put her off her position. Despite his opinion on the subject of study, the former Hogwarts professor was proficient at her job and there were results coming from the Hall of Prophecy. Her and Beaufort were a decent team, so it would seem. "Good day, Laurel," he nodded, unaware of her hope for a quiet meeting. Which it most certainly would be nothing of the sort. Also unaware of the name change of this particular employee - if there had been paperwork submitted regarding it it had not passed through his hands yet nor processed - the astronomer nodded towards his former Hogwarts pupil. "Miss Chambers." "Beaufort," he greeted the younger man as he stepped into the room. He figured that this little meeting would be right up the Unspeakables' alley, especially judging from the expression he already wore on his face. Airey wondered when he would cease feeling peculiar about having a former department head - his boss even - as his employee. Apparently that day was not today either. "Good day, Addision," he nodded with a pleasant enough smile before checking his sundial watch for the time. "Let's begin." And if anyone arrived late, well, this wasn't Hogwarts and there would be no points deduction nor detention...but the man did hold some influence over payroll. Just saying. "As you are all well aware, work in the Department of Mysteries requires quite a bit of hard research and diligent study. The sort that exercises and stretches the mind but leaves the physical body mostly stagnant during the day. Why is this not optimal?" OOC: meeting is starting here :3 if you want to IC arrive late that's fine but just know there will be IC consequences as a result. Likewise, you can also simply pretend as though your character was here all along. After some debate in front of the vending machine Laurel settled on a mug of hot coffee that she took with her over to one of the weird looking rock pillows. Taking a seat she waved and nodded pleasantly to Dylan, Jasper and Addison as they entered after her for the department meeting. It was nice to have Jasper as her colleague now, they had so far been working well together. Airey as always, didn’t waste much time before he got the meeting started. His question left her silent for a moment while she gathered her thoughts. Her seer senses we’re tingling but Laurel tried to ignore them as she responded to Airey’s question. "A stagnant body is not optimal because excercise and fresh air even for just 1o minutes makes you concentrate and think better and that is needed for the research that we do on a daily basis." It wasn't much surprise to those who knew of Val, he wasn't the type to make a noticable entrance. He had already been seated, prior to the meeting starting. He of course acknowledged everyone along his way to a seat, enjoying his drink. The choice on the meeting was interesting, but he had no other thoughts regarding it. Given last year's events, the less attention on him the better. Luckily he had no recollection on his behavior other than witnesses expressing it. So with that he chucked it up to maintaining his previous low-profile reputation. His work made that easy for him. So the meeting eventually started and they were discussing about keeping physical. Laurel seemed to hit all the right reasons why it should take a higher priority to Val. He couldn't find anything to contradict it. "A stagnant body can also trigger medical issues to come up overtime, affecting us physically and mentally." Adding onto it. Ah "Uwah?" How did these two know who he was rather so quickly!? Did they look into his files on their Department Head's orders?! Were they Seers?! Mind Readers?! No Major had not even said his name in his own mind...AH NO he just did. He looked at them both suspiciously. Mentally doing the eye to finger point at them both. In case they needed to know he was gonna watch them both now and if they read his mind then for sure they would know it too. "Hmmm. I'll take a look at it later after the meeting?" was this going to be a meeting? A Small meet and greet for anyone he might have missed during the Ministry Meet and Greet? No it seemed not. The Department Head, Mr. Flamsteed was quizzing them? Major had already been through school why did he have to do this now too? Unfortunately his morals made him answer. "Exercise and fresh air help lead toward better mental health. Staying still for too long in one place can cause the mind to stress more and lead to poorer work." Which from what he knows, wouldn't be very good down here in Mysteries. arms wrapped around her waist, Aslan stood near the vending machine and listened. Airey Flamsteed was the very same, behaving as if he were opening a lesson and not starting a meeting. It made Aslan almost nostalgic. almost. as she had in school, Aslan did not waste her time answering a question easily answered, and instead allowed her mind to wander and drift up through the ministry to where Angelo Milano was spending his afternoon. She would check on him during her lunch break, just a peek in to be certain he was doing well enough with the other children. Jostled back to the present by Major's strange noises and brash talk, Aslan let her eyes sink into his form for just a second longer than necessary -grey. frizzled threads, broken pipes, a silver bike horn- before turning her settling focus on her former Head of House. Truth be told, Airey had had no intention of properly addressing each answer his Unspeakables offered up - not as long as they all remained on topic. Which, thankfully, they were and covered the basic points he had expected. At least none were daft enough to suggest that nothing was wrong with prolonged seating. Though he was concerned as to whether or not Miss Evans was paying proper attention to things. She had always been a bit...dreamy in his lessons. Though he also found some comfort in the observation that things did not always change. She would be forced to reckon with her attention span in another moment or two, however. "Stellar," he nodded while adjusting his tie a bit, loosening it just a tad. "Now, those Unspeakables returning from last year will recall the notice regarding the Department of Magical Games and Sports' Ministry-wide Wellness Program. There were a few options athletic opportunities in house offered last year, though few capitalized on the opportunity." Though that was hardly the point he was trying to make with this session. "This Wellness Program is continuing on into this year as well and in light of the events of last term regarding an incident in the Thought Chamber, it has come to my attention that those employeed in this department in particular could use with a bit of a reshuffling...of sorts." Ahem. "The minds of those employed here are stretched on the regular, but our bodies not quite so much. Which is why this morning we will be participating in a bit of an agility exercise to limber up, get the blood pumping, before setting off to work." Just what sort of activity? Well...with another flick of his wand all 42 of the plush rocks rose into the air and began to easily glide about the room. Nothing too hazardous yet. "Your wands will not be necessary and, in fact, if you happen to blow up any of my rock pillows on reflex it will be a sizable deduction from your first paycheck" he continued, giving his wand yet another flick to cause the rocks to move a bit more quickly about the room. "Constant vigilance, Unspeakables! ENGAGE!" And then with one more flick of his wand, the rock pillows began whizzing about the room in unpredictable flight paths. Thank Orion the entire room was padded! Which was actually the department head's first move, to dive on to the spongy floor as no less than three rocks when whizzing through the air towards where his head had just been moments earlier. "Uwah!?" was all Major managed to utter as Flamsteed just sort of charmed all these rocks to fly all over the place. He had NO time to prepare himself for this kind of exercise, and of course Major ALWAYS readies himself each morning before work with stretches and meditation. So it was to his surprise when a couple of these plush boulders bounded right toward him. One of them shooting right into his but and knocking him back a bit. He managed to keep up but then another one hit him in the back and Major somersaulted forward back onto his feet or sort of. He still had one knee onto the ground. This whole place had awful footing there was no balance in here at all. He tried to keep his eyes on a few of the rocks but there was no pattern to their movements. he ducked out of the way of one as another pelted him in the side and knocked him onto the cushioned floor. This going to turn out to be a very bad day if he didn't get himself together. Major righted himself back onto his feet and took a deep breath in before exhaling it right back out. And then WHACK! He landed a chop right at one of the soft rocks which was coming toward his blind spot. He felt his hand sink in as the rock morphed around it then shot back in the opposite direction. Okay, Sifu Zhu you're gonna show these Soft Rocks who's boss. Wellness program? Laurel furrowed her brows in confusion, but decided to let it slide for now. She could check the offered athletics classes after the meeting was over. Considering what she had been involved with last year with an encephalon literally taking over her whole brain she felt that she was off the hook. It was okay that she hadn’t been very interested in looking for training possibilities like yoga after that. Before Laurel could ask a question Airey informed that they were all going to participate in an agility exercise to limber up whatever that meant. Laurel didn’t have time to think another thought before 42 plush rocks rose into the air above her head and started to glide around the room. What Airey said next wasn’t exactly comforting as he informed that they couldn’t use their wands. Gulping Laurel dove quickly to the spongy floor as spongy rocks came whizzing through the air towards her. She felt one of them grace the top of her head before it flew by, which meant she hadn’t been fast enough. Quickly looking around she got her feet and started to run around the room throwing glances around at her coworkers "Does anyone have any ideas how we can tackle these rocks without using magic?" Last edited by Nordic Witch; 03-16-2019 at 02:43 PM. Listening carefully to his department head and new co-workers points, Lyra had established a few things. Some significant event had occurred last year, and he had better be careful who he got in the way of, because this might not be the perfect job he thought it would be. When the rock pillows began gliding about the room, he instinctively pulled his wand out, but put it away as soon as Airey spoke. He batted some of the pillows away from him until they started to move faster, at which point he dove to the floor and hit away any rocks that came towards him. Responding to another unspeakable he did not know the name of, he suggested, "We could trap them." Airey flinched a bit when he saw one of his Unspeakables began assaulting his pillows. He meant what he had said about deductions from their paychecks, by the way. That was not just an empty threat. "No need to trap, Laurel," the man spoke almost gleefully as he leaped and bounded about the room. "This is a cardio exercise primarily." He would keep the rock pillows moving at their present pace for now, no need for things to speed up just yet. Though, there was a bit of an unforeseen effect to his enchantments as some of the flight paths just-so-happened to line up in just the right way where they formed a sort of rock golem from all the plushy rocks. "Oh...well...this is unexpected," the department head chuckled lightly. She was a mother of four. Her oldest was finishing his last term at Hogwarts but her three younger ones were still rather small, the littlest one being only fours now. Agility should be her middle name. Everyday she was ducking and dodging and hopping over things at home. What was this though?! No wands. Lovely. Addison watched as every plush rock pillow thing in the room rose into the air and began zipping around the room. This was basically a magical pillow fight. Kinda. Not really. A pillow zoomed past on her left so she leaped to the right and then the left and right again! Good thing this floor was soft and springy beneath her feet. "Whoa!" The blonde exclaimed in surprise flinging herself onto the floor just as a pillow flew over her head with a quick roll to keep from being stepped on by whoever else was leaping about. Blue eyes lifted upwards from her current spot on the floor just in time to spot the pillow rock golem looking thing. Dear Merlin she wasn't sure if now was the proper time to do this but she laughed. "Well alright then.." Addi got to her feet keeping her eyes on the golem. Running around on th spongy floor the blond woman did her best to dodge and roll and jump out of the way of the plush rocks. Blowing a strand of hair out of her face Laurel shot a quick glance over at Airey as he informed that trapping the rocks wasn't necessary since this was a cardio work out. Laurel was not very pleased. Airey had arranged this just to make them all break a sweat and get them all to excersice. When the rocks formed up into a golem like shape Laurel muttered more to herself than anyone else. "What is the purpose of that golem?" Even more vigilant she kept running around the room. What was the purpose indeed. A happy unexpected coincidence and nothing more. Though it certainly would add a bit of flare to this informal but formal agility exercise. you might very well have been surprised at Aslan's agility- she most certainly did not look like the kind of witch who spent her time exercising or running- but her time as guide through the rockier tombs of Egypt had left her with faster reflexes as well as a honeyed tan. She had almost begun to enjoy the exercise when Professor... when Airey's chuckling and words caught her shifting attention. The golem looked mostly harmless, but most things did until they weren't. Aslan kept up with her careful running, and dodging but was unable to keep her eyes or attention on the golem for very long. She supposed that was Airey's intention. To keep them guessing. To keep them moving. Aslan glanced once more towards her old teacher with something like a ghost of smirk on her naturally calm features. Laurel's attention was scattered at first when she ran around dodging plush rocks as best she could. 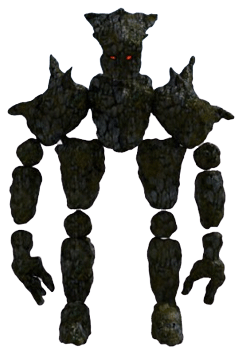 The golem's appearance though with it's disjointed limbs as it floated around was an eye catcher. It was a good thing that Laurel's seer senses kicked in to warn her of the mighty swing the plush rock hefted in her direction or she might have been knocked senseless. Now though Laurel's left arm and back was just graced by the golems swing which made her burst out with anger at it as she rubbed her arm and back. "Hey, that hurt!" Lyra stayed on the floor, questioning every decision he had made. He watched the soft objects flying about the room, not knowing what, why or how. So of they couldn't trap, would they just dodge until it was over? That sounded a bit inefficient to him. He rolled over to get a better view, barely missing some projectiles. In just a moment, he figured out exactly were those rocks were going, as he had rolled over just in time to see the formation of some sort of monster. Most of the rocks weren't flying anymore, so he scrambled to the wall, hoping not to be hit by that terrifying thing. It didn't aim at him, so he just kept his distance and kept moving. "What is that?"